Another Japanese foodie adventure – Nihonbashtei. Heard a lot of good reviews so we decided to try this Japanese restaurant out. This was a good break from my South Beach Diet but still shied away from rice and carbs. For me, the most important thing in Japanese food is the freshness and quality of its ingredients. You can’t get any simpler than Sushis – raw food has to be definitely fresh without a bad aftertaste. 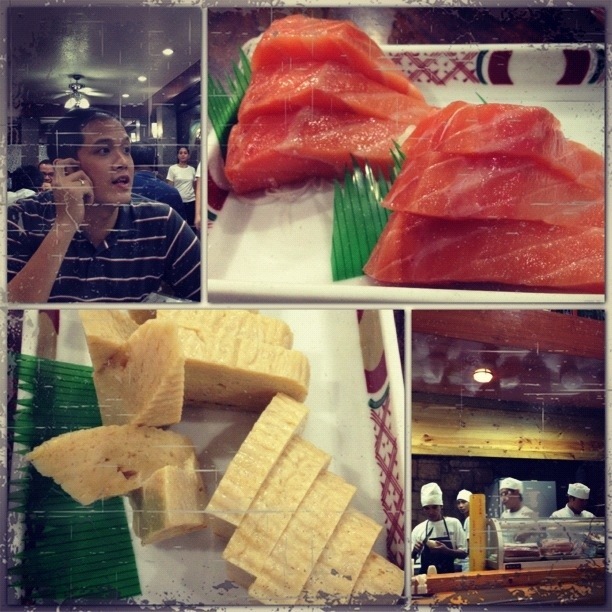 For starters, we ordered Salmon and Tamago Sushi. The servings for the sushi were quite big. Hubby and my mom-in-law ordered Chirashi Don while I ordered their basic Bento. The Chirashi Don came with super fresh Uni. My mother-in-law who frequents Japan was impressed by the quality of the Salmon Roe and the Unis. My bento box was actually too big for me. It even came with rice and miso soup. I shared my pork katsudon and tuna sashimis with hubby. Aside from the 2 mentioned, my bento box had sea weed salad (yummy! 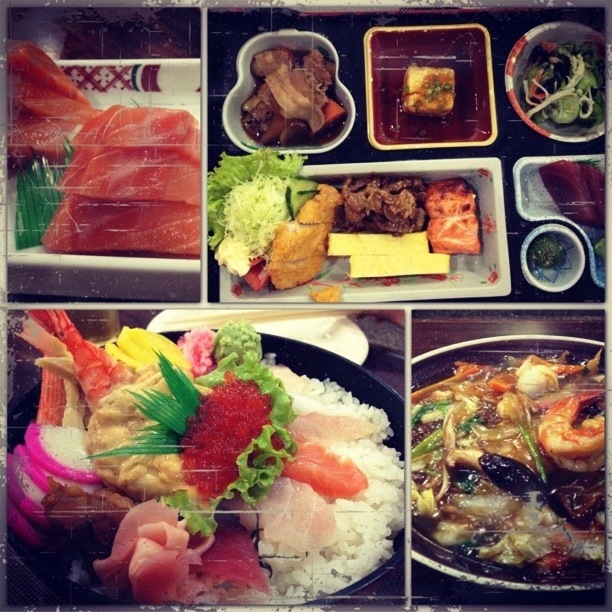 ), tofu, beef and pork teriyaki, tamago and grilled salmon. For Php320.00, this bento box was sulit! Feeling that the food might not be enough, hubby ordered their Ankake Ramen, which was supposedly a house specialty. Turns out, this was worth coming back to. But I was just too full to try a bowl plus this was against my SBD. Our total bill amounted to a little less than Php2000. Not bad for Japanese food, right? Better yet, not bad for this quality.